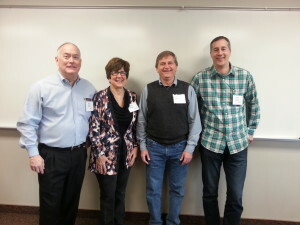 Jim, Cathy, Me & Craig were excited to pull the 50+ people together for the day. for the 53 attenders. They were curious how they could bump up their impact and learn how to better disciple others. I had met with a few of the pastors and church leaders a couple months past. Maranatha had just recently sent 200 members to start another church. A number of mature members had left in that group. What they were sensing is that they needed to prepare more people for leadership positions. ← Three Big Events Coming up.